Version 8 is the current version of the data set. Version 7 has been superseded by Version 8. 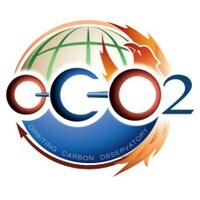 The Orbiting Carbon Observatory is the first NASA mission designed to collect space-based measurements of atmospheric carbon dioxide with the precision, resolution, and coverage needed to characterize the processes controlling its buildup in the atmosphere. The OCO-2 project uses the LEOStar-2 spacecraft that carries a single instrument. It incorporates three high-resolution spectrometers that make coincident measurements of reflected sunlight in the near-infrared CO2 near 1.61 and 2.06 micrometers and in molecular oxygen (O2) A-Band at 0.76 micrometers. This collection is the output from the algorithm retrieving the column-averaged CO2 dry air mole fraction XCO2 and other quantities from the spectra collected by the Orbiting Carbon Observatory-2 (OCO-2). Biases in OCO-2 data are still studied. The project recommends using the Lite products. This software (NASA NTR-49044) retrieves a set of atmospheric/surface/instrument parameters from a simultaneous fit to spectra from multiple absorption bands. The software uses an iterative, non-linear retrieval technique (optimal estimation). After the retrieval process has converged, the software performs an error analysis. The products of the software include all quantities needed to understand the information content of the measurement, its uncertainty, and its dependence on interfering atmospheric properties. Jet Propulsion Laboratory, California Institute of Technology. Copyright 2016 California Institute of Technology. U.S. Government sponsorship acknowledged. OCO No campaigns listed. No dates provided.